Did you know if you are a carer you can now get free £1 theatre tickets through the Home MCR Inspire Scheme? Home MCR has relaxed performances for people on the autism spectrum and selected performances are subtitled. Whether you need support for the travel cost. Let us know if you require a bus (specify which bus company) or a tram ticket. We will contact you to confirm your tickets once we have all the relevant information and have confirmed availability with Home MCR. If you do attend the theatre and would like to share some thoughts about your experience and be featured in our newsletter please send us an email and put ‘Carers Corner’ in the subject line. If you don’t have email, you can always give us a call! Our Christmas opening hours are listed below. Please note that our opening hours are reduced on Christmas Eve. We wish you a period of rest and relaxation and we look forward to resuming our services in January. We are delighted to announce that our 2019 calendar has launched and is now available to buy! The theme is ‘Salford’s hidden beauty’ and it features beautiful photos taken by carers and staff and costs £5. Not only will this be a wonderful stocking filler, it will also be an opportunity to help raise vital funds for our carers as every penny will go towards funding our services. The calendar includes a helpful notes and ‘useful information’ section to make it as useful as possible. If you are unable to travel to an event or our office and have a carer support worker, you can ask them to bring a calendar to you when they next visit. We hope you enjoy using our calendar in the coming months and look forward to hearing what you think. Keep your eyes peeled for a sneaky preview on our social media! With Carers Rights Day on 30 November steadily approaching and with it, the launch of our exciting new campaign (#carersrealities) we thought it would be a good idea to clarify what carers rights are. Many carers are not told what they are entitled to until they reach crisis point and we believe that carers being informed means that they can access support early which leads to better outcomes for everyone involved. There are slight differences between the rights adult carers have and the right parent carers have. The rights of adult and parent carers are slightly different to the rights of young carers due to the differing needs of each group. Adult Carer Rights – note the slight difference for parent carers. 1. Under the Care Act 2014 carers are entitled to a carer’s assessment if they appear to have needs for support. 2. The Children and Families Act 2014 gives a standalone right to an assessment as the parent of a disabled child. 3. A local authority has a duty to meet a carer’s eligible needs. 4. A carer has a right to a support plan which will show how their eligible needs will be met. 5. Carers should get a personal budget which shows the cost of meeting their eligible needs. 6. Carers’ wellbeing should be the focus of a carer’s assessment with a need to prevent deterioration. 1. Carers have the right to be included on a service user’s care plan. 2. Carers have the right to be given general information about the person whom they are caring for. The service user’s consent is needed to get specific information. 3. A service user doesn’t have the right to stop professionals speaking to carers or vice versa but may limit what a professional can tell a carer. Young Carer or Young Adult Carers Rights. 1. The Children and Families Act 2014 gives carers under the age of 18 the right to an assessment on the appearance of need, they do not need to request one. 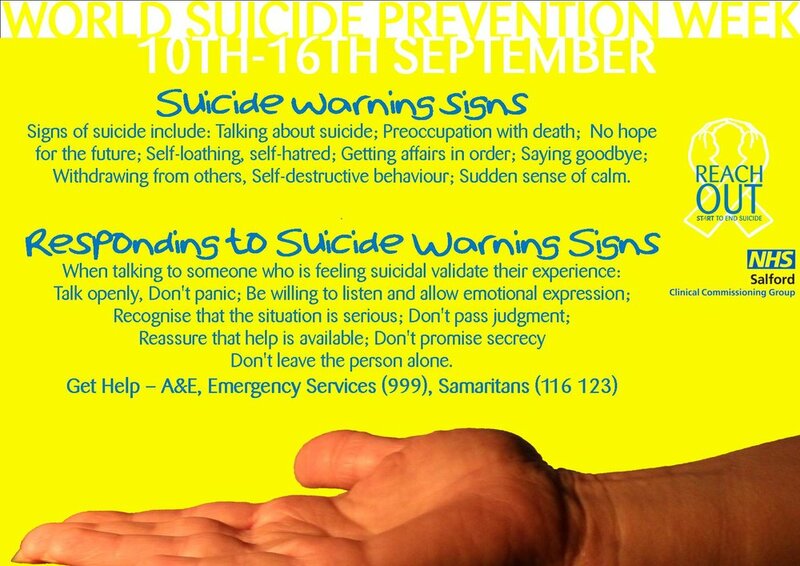 • Makes them feel worried, sad or lonely. • Makes their health worse. • Means that they miss out on time with friends. • Means they do worse at school, college or university. • Stops them getting a job or keeping a job. • Stops them wanting to achieve your goals for the future. Are there any rights you’re surprised about? 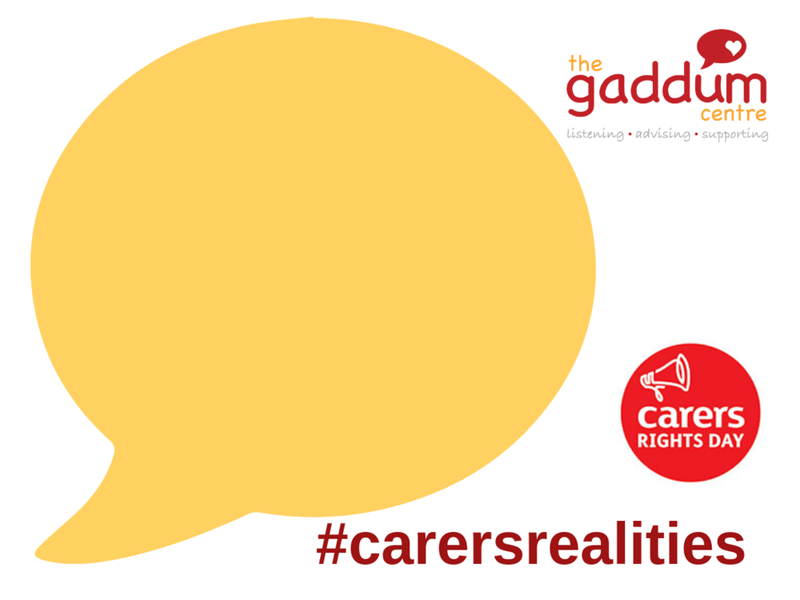 Get involved in our carers rights vs carers reality campaign over 26-30 November and share your thoughts! 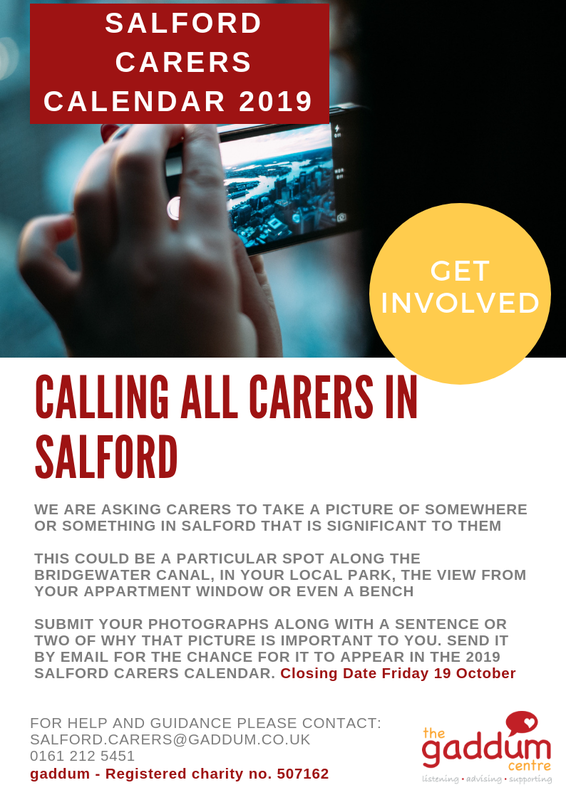 We’re gearing up for our new #carersrealities campaign here at gaddum-Salford Carers Centre. We’ve included a speech bubble for you to download, print and write your views on whether your rights match your reality. If you’re not sure about your rights, don’t worry. We have published a helpful list for you. We’ll be launching this campaign over the week of Carers Rights Day (26-30 November) so save your tweets, shares and likes until then. Our next Wellbeing Walk will take place on Wednesday 17th October. This is an accessible walk for all adult carers who are welcome to bring the person they care for. Come along, get some fresh air and meet other carers. We all know that breakfast is the most important meal of the day; even more so for carers with busy lives who struggle to prioritise their own needs. That’s why Salford Carers is launching a Carers Breakfast on the 27th September. We are offering carers the opportunity to join us at Chimney Pots Cafe in Langworthy Cornerstone to have a light breakfast on us. It’s a great chance to enjoy a relaxing cuppa, meet our team and get to know other carers. The breakfast launches on the 27th September and will be weekly from 9.30 - 11.30. This is a great opportunity so we hope to see you there. We kick started our new term of activities for parent carers and their families with our very first family walk last week; bee hunting at The Lowry and Media City. 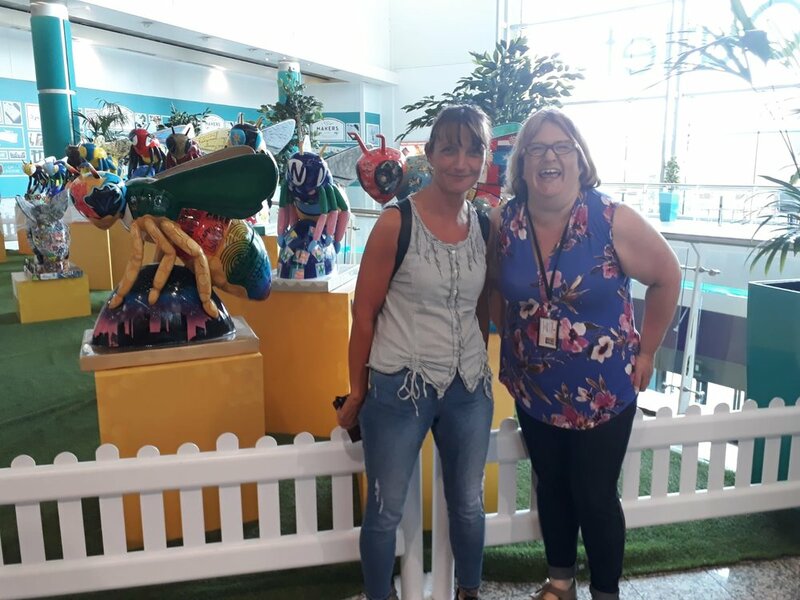 Inspired by the amazing decorated bees that have popped up all over the City we walked round the Lowry Outlet Mall and Media City and really enjoyed having photos taken and learning lots of buzzing bee facts! Bee hunting is tiring work and we were very glad to stop for a picnic lunch in the Blue Peter Garden and a spot of bee colouring in before walking back to the Lowry Theatre to see 'What The Ladybird Heard' in the Quays Theatre. It was a really enjoyable performance that captured the children's imaginations brilliantly and was the perfect way to end a busy, buzzy day. We are incredibly grateful for to The Lowry Theatre for facilitating this trip for our families; a relaxed performance was perfect for many of the children in our group. Parents were over the moon to have an amazing new experience for their children, something that many would not be able to manage without The Lowry's generosity. Keep an eye out in our forthcoming calendar of events for more walks and fun activities. One little boy who joined us said "I loved it, I loved it, I loved it" when asked whether he had enjoyed his day. Feedback from parent carers was really positive and we look forward to providing more organised activities in the near future!! If you're interested in getting involved in our activities, check out our Facebook and Twitter pages for up to date events.